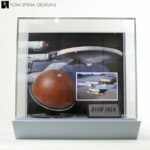 A custom acrylic display case for a pair of original Star Trek Data props from the Next Generation TV series. 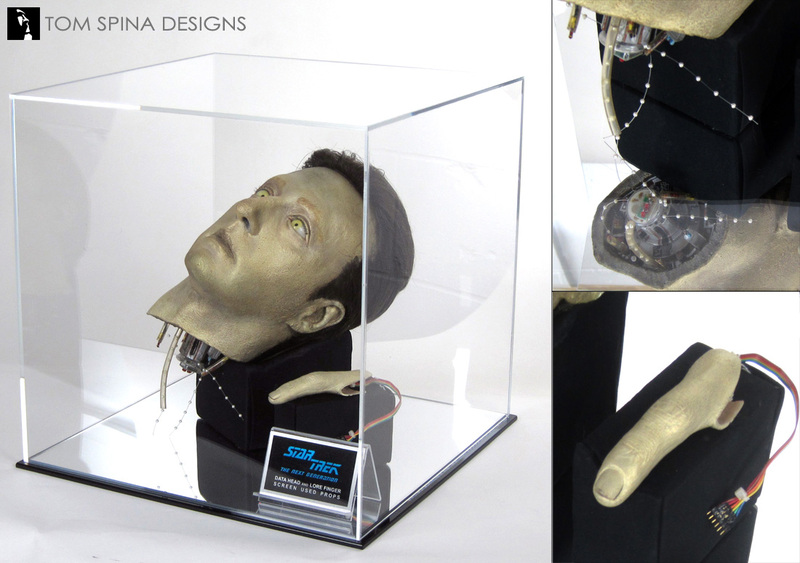 Here’s a great pair of original Star Trek Data props … including the android’s head! 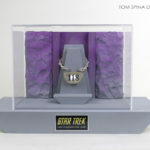 Our client is a huge Star Trek collector and was looking for a display for both Next Generation television props. Data’s prop head is from the season 7 episode, Phantasms and Lore’s finger prop is from the season 7 episode, Descent Part II. 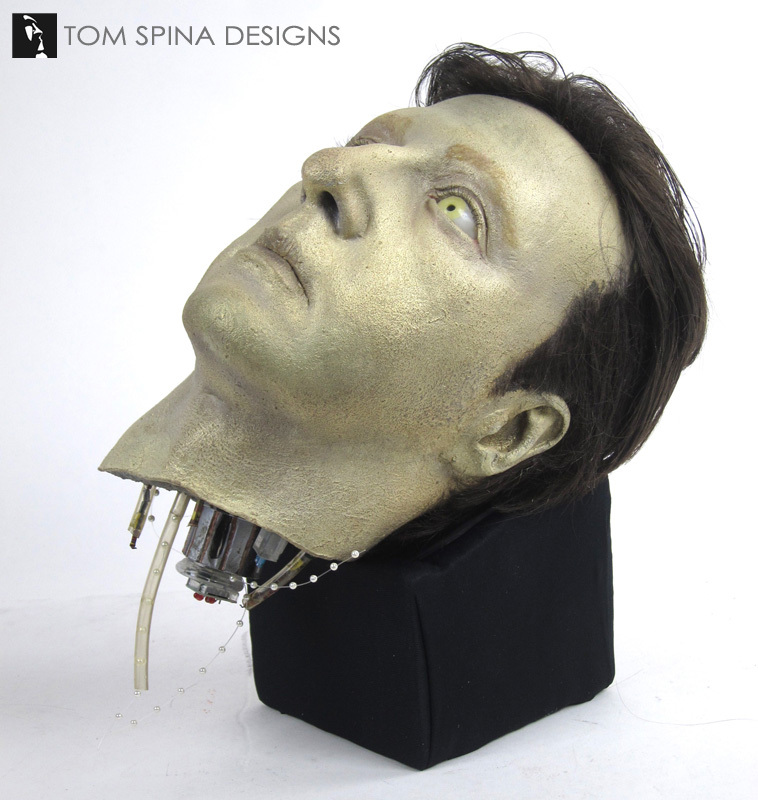 Both props relate to actor Brent Spiner in his double role as Data the android and his evil twin brother Lore. After discussing options with the client (such as themed displays that maybe reflected the sets or scenes these television props were used in), we settled on a sleek, museum style look. 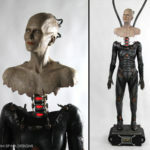 A clean display can help keep all attention the the intricate android body props. Since the bottom side of Data’s prop head’s neck was very detailed we chose to go with a mirrored base which meant that even with the head sitting in an upright position, viewers can still see the underside of the neck. We also created two completely custom foam support bases for each prop. 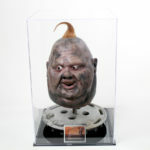 They were hand carved to fit the specific prop and provide them with optimum support and the perfect display angle. The prop head leans back, allowing gravity alone to hold it in position. We finished the display with a custom full color metal plaque that reflected the television series and tells viewers what the props are. 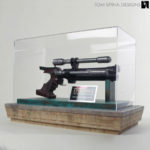 A thick clear acrylic display case covers the props to keep the dust (and hands!) off.